February Picks: SF Native American Two-Spirit Powwow, San Jose Lunar New Year Celebration, SF Giants FanFest, Martinez Wine & Chocolate Stroll, SF Chinese New Year Parade, and Oakland Black Joy Parade - Get on Board! 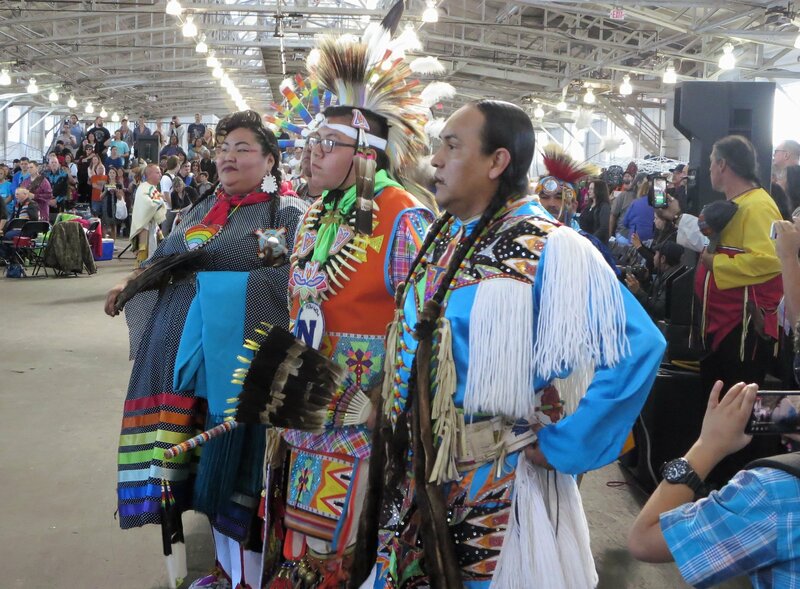 Join the world’s largest event honoring the Native American Two-Spirit tradition, the 8th Annual Bay Area American Indian Two Spirits (BAAITS) Powwow. Held at Fort Mason Center, the free event features dancers, singers, and drummers (who will make their grand entry at noon), coming together to recognize the community’s beautiful diversity and call for greater inclusivity. Powwows are traditional, inter-tribal events that promote unity, healing, and wellness. The term “Two-Spirit” refers to the commonly shared notion among many Native American tribes that some individuals naturally possess and manifest both masculine and feminine spiritual qualities. The BAAITS event is held each year to help Native American communities realign with Native traditions of togetherness and embrace the fluidity of gender identity and sexuality. Last year, more than 4,000 Native and non-Native people alike were welcomed, so get there early! Getting there: Depending on your station of origin, take the Capitol Corridor’s dedicated connecting bus from the Emeryville Station to one of our San Francisco stops. You can also connect to BART at the Richmond Station or Oakland Coliseum Station. From downtown San Francisco you can hop on MUNI or hail a rideshare. 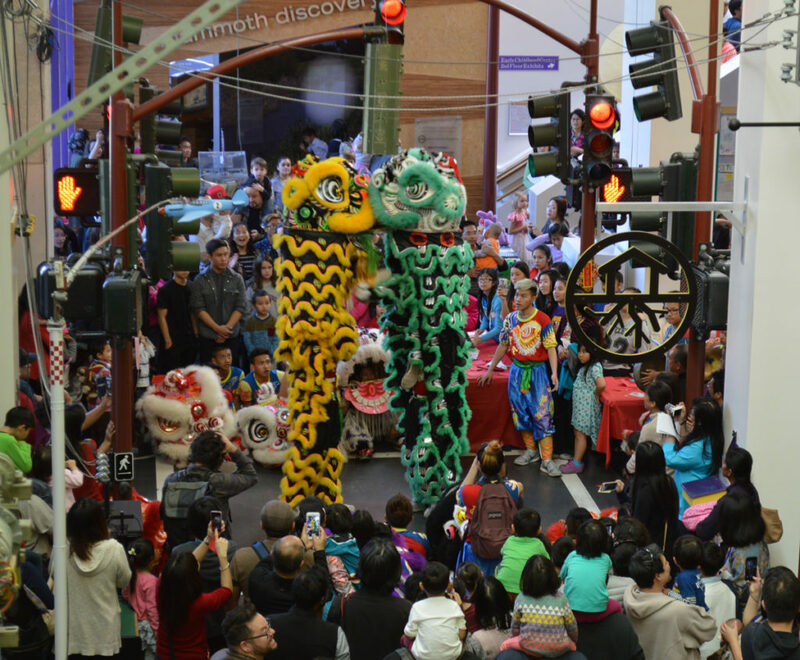 Bring along the whole family to celebrate the Year of the Pig at the Lunar New Year Celebration at the Children’s Discovery Museum of San Jose. You’ll find entertainment and activities for all ages. Revel in the lively Lion Dance, paint a firework design, create figurines from dough, learn the art of paper cutting, and much more. Enjoy both traditional and contemporary music, try your hand at Vietnamese calligraphy in the Art Loft, or enjoy performances by a lion dance troupe, cultural dance groups, children’s choir, and a classical Chinese Orchestra. As part of its Cultural Celebration series, the museum is committed to promoting the region’s diversity so families of all backgrounds can explore the many cultures, customs, and traditions represented in the Bay Area. Getting there: Take the train to the San Jose/Diridon Station. The museum is within one mile from the station and is accessible by the VTA with a free Transit Transfer from the Capitol Corridor. 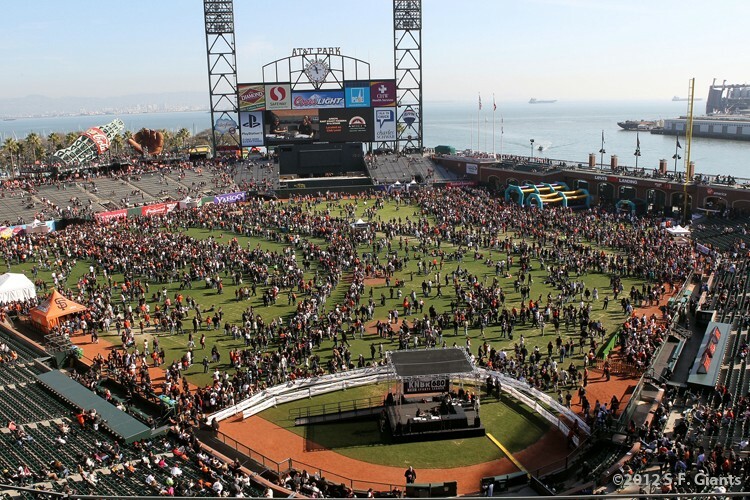 Baseball season is right around the corner, and if the Giants are your team, you won’t want to miss out on meeting your favorite player at KNBR’S 26th Annual Giants FanFest. Held at the newly named Oracle Park, there will be live KNBR broadcasts on the field, player Q&A sessions, free player autographs, photo ops (even with the World Series trophies! ), self-guided tours of the Giants Clubhouse, and loads of kids’ activities, including the chance to play catch on the field (weather permitting). Note that the lines to meet some players can be long, so come prepared to be patient. The whole experience will be a hit out of the park! Getting there: Depending on your station of origin, take the Capitol Corridor’s dedicated connecting bus from the Emeryville Station to one of our downtown San Francisco stops. You can also connect to BART at the Richmond Station or Oakland Coliseum Station, get off at Embarcadero, and from there walk or hop on MUNI. 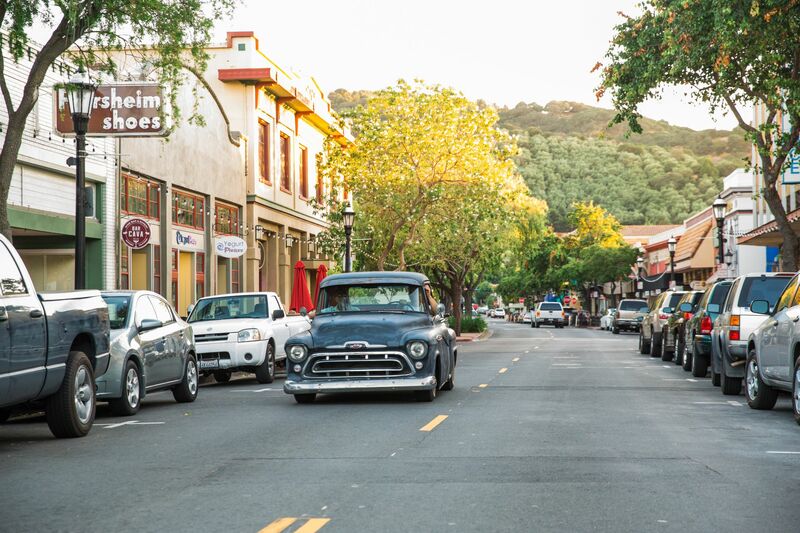 For more information about how to travel to San Francisco using the Capitol Corridor, check out our helpful blog post. What better way to ease into Valentine’s Day than by indulging in lovely wines and chocolates with your loved one? Hosted by Downtown Martinez, Martinez Wine and Chocolate Stroll invites you to peruse the historic downtown district’s Main Street, checking out antiques and unique gifts while enjoying samples of wine and chocolate treats at participating businesses. Tickets are $30 in advance online and $35 cash only at the door, if not sold out. Your ticket includes a tasting glass, wine glass charm, and tasting map. All event participants must be 21 or over and show a valid photo ID at the ticket booth. Getting there: Ride the Capitol Corridor to the Martinez Station, which is just a short walk from downtown. 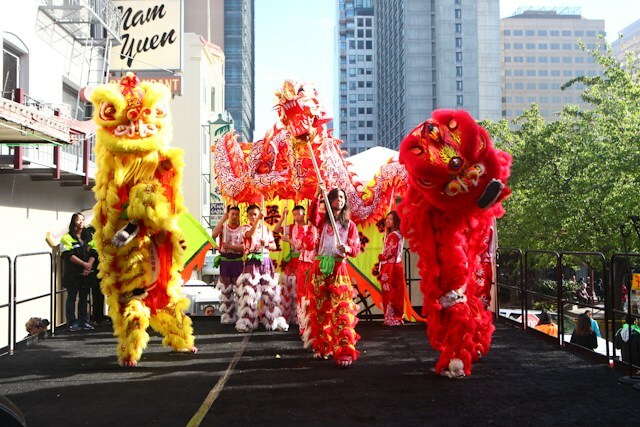 Don’t miss one of San Francisco’s oldest and most cherished cultural events, the Chinese Community Street Fair and Parade. The annual festivity was started in the 1860s by the Chinese in San Francisco as a way to educate the larger community about their culture. On Saturday, February 23, starting at 5:15pm, see the biggest lunar New Year parade outside of Asia. The International Festivals & Events Association has named this San Francisco Chinese New Year Parade one of the world’s top 10 parades. Over 100 segments will be showing off incredible floats, elaborate costumes, ferocious lions, exploding firecrackers, and of course, the newly crowned Miss Chinatown U.S.A. and her court. A team of over 180 men and women from the martial arts group, White Crane, will carry the crowd favorite, the “Golden Dragon”, through the streets of San Francisco. There will also be over 120 booths and concession stands, making this event a shopper’s paradise. Celebrate the altruistic, dedicated, and vivacious spirit of the Year of the Pig by experiencing traditional Chinese cultural arts such as colorful folk dancing, acrobats, lion dancing opera, drumming, magic, and more at the entertainment stage on Washington Street below Grant Avenue. Bring the whole family and get a photo with the giant puppets, dragon, and other memorable characters from the parade. Getting there: Depending on your station of origin, take the Capitol Corridor’s dedicated connecting bus from the Emeryville Station to one of our San Francisco stops, or connect to BART by taking the Capitol Corridor train to the Richmond or Oakland Coliseum stations and get off at the Montgomery BART station. From Montgomery, you can walk, hop on MUNI, or hail a rideshare. Celebrate the Black experience past, present, and future at the 2nd Annual Black Joy Parade. 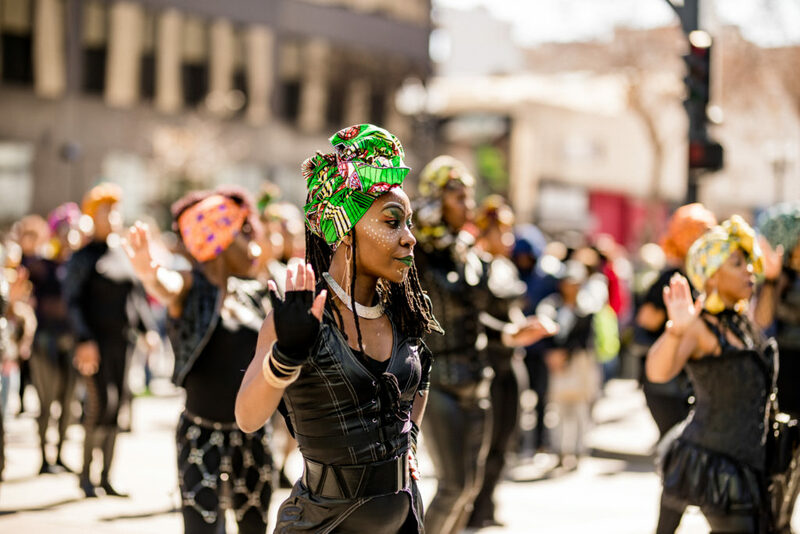 Folks of all backgrounds will fill the streets of downtown Oakland to experience the many unique flavors of Black Joy — from creative floats and lively marching bands, to extravagant costumes, dance, and art. The procession will begin at the corner of 14th Street and Harrison Street, ending at the corner of Broadway and 20th Street. Enjoy two stages of performances, support Black art, crafts, food, and wine vendors, while learning about the non-profits and other organizations that serve Oakland’s Black community. Black Joy Parade is self-described as a hyper-positive, family-friendly turn up celebrating the Black experience and the Oakland community’s contribution to culture. Getting there: Take the Capitol Corridor to the Richmond Station or the Oakland Coliseum Station, connect to BART, and get off at any downtown Oakland BART station. Previous Previous post: Enter to Win Tickets to the SF Beer Week Gala!